IT managers are looking to position BI and analytics in the cloud. That's according to TechTarget's 2019 IT Priorities Survey, which asked a total of 624 IT professionals from a wide range of industries in North America about what's on their to-do lists. The survey posed the following question to respondents: Which of the following applications are you most likely to deploy in the cloud this year? Among the 231 IT professionals who responded to this question, the top response was BI/analytics (27%), followed by customer relationship management (23%) and big data platform/enterprise data warehouse/data lake (21%). In last year's survey, respondents said they were most likely to deploy CRM (34%), ERP (29%) and business process management (27%) in the cloud. 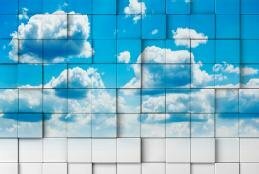 Respondents who plan on deploying data warehouses, data lakes, BI and analytics in the cloud this year are in alignment with a growing enterprise trend, according to experts. Jen Underwood, senior director of product marketing at machine learning software vendor DataRobot, said the results are "not at all surprising." "Analytics in the cloud is usually ahead of on-premises offerings," Underwood said. "With rapid weekly updates, on-demand scale, speed and ease of simply getting things done, cloud is a no-brainer for many organizations outside heavily regulated industries." Isaac Sacolick, president of StarCIO and author of Driving Digital, said, to drive efficiencies, improve customer experience and target optimal markets, organizations are going "from centralized BI functions to more distributed analytics teams supported by citizen data scientists using self-service BI tools." Deploying BI and analytics in the cloud is a sensible next step in that transition. With rapid weekly updates, on-demand scale, speed and ease of simply getting things done, cloud is a no-brainer for many organizations outside heavily regulated industries. "Cloud offerings enable organizations to quickly and more easily ramp up BI tool usage, provide access to more data sets and scale usage of produced analytics with less effort by IT to enable and support infrastructure," Sacolick said. "IT is then better poised to partner with the business on data governance, integration and modeling initiatives that fuel ongoing analytics needs." Underwood and Sacolick aren't alone in their thinking. Feyzi Bagirov, data science advisor at B2B data insight vendor Metadata.io, said he also is seeing more organizations deploying BI and analytics in the cloud, but that the trend is still in the early stages. He cited 2018 Gartner research that found on-premises deployments still dominate globally, ranging from 43% to 51% of deployments. The 2019 IT Priorities Survey also asked respondents what information management initiatives their companies will deploy in 2019. Among the 215 IT professionals who responded to this question, the top response was data governance (28.8%), followed closely by predictive analytics (27.9%) and data integration (27.9%). Big data platform/enterprise data warehouse/data lake (26.5%) rounded out the top four. Bagirov said he thinks these results more or less align with enterprise trends. He said that priorities may vary by industry -- companies in the financial sector might be more inclined to push data lake initiatives, for example. Data governance and integration will top IT professionals' objectives this year, Bagirov said. "Those are the steps that are essential before predictive analytics can be scaled up," he said. As for Underwood, she said the European Union's recent rollout of GDPR likely influenced data governance's top placement in the survey. Governance probably won't be as prominent next year, though, she said. "In my machine learning and artificial intelligence work … I am seeing early adopters achieve astounding results that I have never seen happen throughout my entire 20-plus-year analytics career," Underwood said. "The artificial intelligence gap is already being exploited as a game-changing competency for competitive advantage in the algorithm economy. As a result, I forecast predictive analytics to be No. 1 on your ranking next year. Artificial intelligence and automation is changing analytics as we know it today." Is moving BI and analytics to the cloud one of your organization's 2019 IT priorities? Why or why not?